You are here: Home / Branding & Consumerism / Youth Call to Service: MLK Day Off? Make It a Day On! 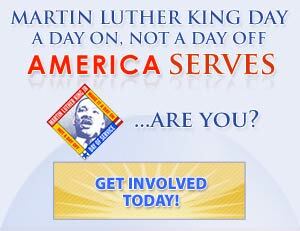 Youth Call to Service: MLK Day Off? Make It a Day On! Jan. 16, 2017 Update This year it’s particularly poignant to contrast the ethics, integrity and service values of our outgoing President Obama with the stark greed, corruption, and narcissism of the incoming oligarchy that threatens our very democracy, so this is a call to action for each and every American to serve not just today, but year-round. Our citizenry needs to use the MLK service mandate reaching across civil rights, health and wellness, facts and journalistic freedoms of speech, and the fragile environment work to address the reckless, feckless administration coming into power with volunteerism to instead hold accountable and serve our country tenfold. We will be challenged and continually tasked to build a nation by the people, for the people rather than dismantled to serve foreign vested interests and pocketbook policies that benefit the most powerful multinational firms. Yesterday marked “#OurFirstStand” to defend the affordable care act, today we start with all hands on deck in the spirit of service beyond ourselves. Never has it been so important and necessary to watchdog freedoms and uphold the moral compass of our nation given the bankrupt ethics of a loophole laden ‘leader’ with his unhinged, unsafe rhetoric and narcissistic ego-stroking rallies that serve as a constant reminder of just how much we need each and every citizen to take a day ON not off in service of human rights, dignities, science, and health.. I love the concept of the Obama family doing the ‘ordinary citizen’ bit by rolling up their sleeves and jumping into their new neighborhood’s many issues in Washington D.C., AND using social media (cool Facebook app here) to show people via USA Service.org and Google map how YOU can volunteer in your OWN local community. Using the words of Dr. Martin Luther King Jr., “Everybody can be great, because everybody can serve.” Here’s the official MLK Day.gov site complete with radio PSAs featuring Dr. King’s voice, latest news feeds, media and mobilization for what’s shaping up to be the largest effort ever. Yah, yah, I know, I’m an idealist, yadayada, the kids want to spend their holiday sledding in the snow or whatever, but I say put a viral ‘youth action’ spin on it so kids can make a difference meeting like-minded peer to peer positive influence and you’ve got a teen scene social nudge capable of sparking the ‘hope and change’ fuel everyone seems so longing to ignite! I was always a fan of Colin Powell’s America’s Promise, and his ability to form alliances across party lines. I’ve been fortunate to hear him speak several times advocating for a universal call to service which always has made SO much common sense to me. Granted, Congress passed the King Holiday and Service Act in 1994 making it a national day of volunteer service, but have YOU heard about it? C’mon, it’s been over a decade, after all! I’d say it’s only been THIS year that the brand new USA Service.org site and viral video smart mob crew of social media has piqued the nation’s interest beyond the ‘usual suspects’ of ‘Have Fun, Do Good’-ers and the youth empowerment posse! Whether it’s a local eco-clean up or an inner-city painting project, I love the whole notion of keeping it relevant by keeping it close to home. One of the things that’s always irked me about service project deployment is that many stereotype volunteering as being only about ‘underserved areas’ and ‘risky business’ which often creates a needless chasm of conflict between “exposure vs. need” where kids are concerned. Often you end up with either “nervous-nellies” patting themselves on the back like they’ve entered some commando-condition fortress, or do-gooders who can’t necessarily relate to the community’s experience as a whole. So…check out the Find an Event/USA Service.org maps and resources of what’s going on in YOUR local community. The Obama bunch has made it easy for us with turnkey social media mapping and access to a plethora of projects right in your own zip code. 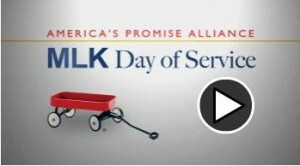 Btw, this is a nonpartisan, national day of service, folks. At left is the handy Facebook ‘choose, pledge, act, report’ process to pay it forward via social media. —a Veterans Corps to support the Americans who serve in harm’s way. I’m energized just seeing it put on paper for follow-through! I love the ‘in your shoes’ format to find the right fit for your own interests and personality. It’s always been a Shaping Youth favorite, prompting kids to lose the lip-service and hop right in to the experiential, character-building, hands-on process of ‘getting it,’ with the freedom to choose what that ‘it’ may be. After all, we’re not a ‘cookie cutter’ society. What’s common and form fitting to some may be completely foreign and hard-edged to others. I’ve sure learned that and shaped up my own outreach efforts. 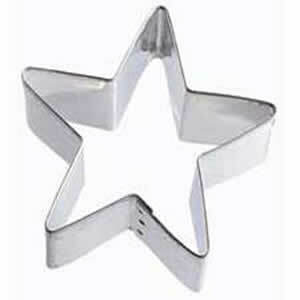 One thing I DO know about cookie cutters now is that anyone can learn to cut out a star for themselves. And they’ll feel good about doing it, too. See you out there on Monday! What will you be doing? Want to share any of your ideas? Add links to other cool service orgs? Send ’em along…Photos too if you want? Young Innovators: Get Out of the Garage and Into the Marketplace! Celebrate My Birthday By Helping Beth Kanter Celebrate Hers! There are four days until the Inauguration, and the country is alight with excitement, not just about the arrival of Barack Obama in the White House but also for the beginning of a new era of civic engagement. We’ve tapped into this energy with our Ideas for Change in America, and today we held a press event at the National Press Club in Washington DC to announce the winners of the competition. The 10 winning ideas reflect the diverse interests of the millions of people calling for change across the country, and include ideas for securing universal heath care, LGBT rights, and sustainable green energy. All winning ideas can be viewed at http://www.change.org/ideas. The winning ideas were accepted on behalf of the Presidential Transition Team by Macon Phillips, the Director of New Media and the person who oversees our second-favorite website, Change.gov. Macon then addressed the attendees of the event, which included nonprofit leaders and grassroots activists, and spoke about the importance the administration will place on citizen-driven efforts like Ideas for Change. 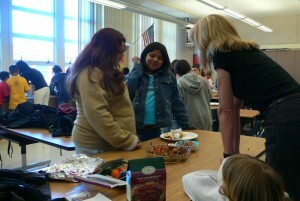 Amy Jussel’s last blog post..One Week Countdown! Vote For Your Favorite Ashoka Youth Venture! For those who don’t know -commentluv- will pick up the most recent -blog post- from YOUR blog and insert a link to it when you add a comment here at ShapingYouth. Gives you a chance to promote your own cause (or yourself) while making an intelligent comment on today’s marketing (and parenting) practices. This is one step above and beyond just inserting your own web/blog URL when making a comment. Thanks, Sky…For those who aren’t familiar, Sky is our IT guru and genius behind the scenes of solving tech troubles, and/or sifting out the wacko factor in system glitches. So I’ll add to his clarity the following: people can ‘choose a different blog post’ of their own to feature rather than just ‘the last one’ to spread the word about a particular cause, interest, or headline…That way, you can showcase what you want to share with our readers that’s appropo! I look forward to discovering all kinds of interesting blogs this way…and I think we’ll be able to ‘tell’ the spam ones, as I’ll be link-checking as usual for decency/akismet issues. Ancora Imparo! I am still learning! I took my two kids (8 and 11) to the San Mateo MLK Celebration today with a friend and her two kids. While we were there, we stood near a table where the kids colored Peace signs, MLK pictures, and created their own designs of Peace and Freedom. Soon, we were inspired to buy tickets to ride the Freedom Train to San Francisco for the MLK Celebration at the Civic Center. Wow, what a day. On a overly-filled train with people of all creed and color and many African Americans, together we sang “We Shall Overcome” and Stevie Wonder’s version of “Happy Birthday” to Martin Luther King as we rode the train. Several points in the day, tears welled-up in my eyes as I could sense the struggle for equal rights through the years rise up for such a special day of victory – seeing that Dr. King’s dream has come to be and Barack Obama will swear-in as our new President tomorrow. My service for the day was to inaugurate my children into community activism – to stand up, speak, sing, and attend purposeful events that celebrate and inspire us to be better people. It was simply amazing. We are change-agents and our children are learning through us. Happy Inauguration Day! God Bless you all! I am loving this blog more every minute. Thank you for finding mine so that I could find yours. I cried very happy tears watching the swearing in… surreal! Jeanne’s last blog post..VIDEO: ‘Jeanne’s Endo Blog’ — Any Patient Or Caregiver Who Deals With Chronic Conditions Can Probably Appreciate This Fantastic Video!